The DNA Core Facility is a state of the art research facility providing services to investigators on all four campus of the University of Missouri system and to investigators of outside academic institutions and commercial enterprises. Our research facility provides services in DNA sequencing, DNA fragment analysis, genotyping, genomic variation analysis, and gene expression. The core currently provides these services to over 150 principal investigators representing 7 colleges and 50 departments in the MU system as well as several off-campus projects. The DNA Core also maintains the campus Enzyme Freezer Program which contains an extensive inventory of restriction enzymes, PCR and qPCR reagents, DNA and RNA purification kits, and various chemicals and biochemicals all at discount prices and with no shipping charges. Robotic instrumentation is available for high throughput plasmid isolation, colony picking, and genomic library management. 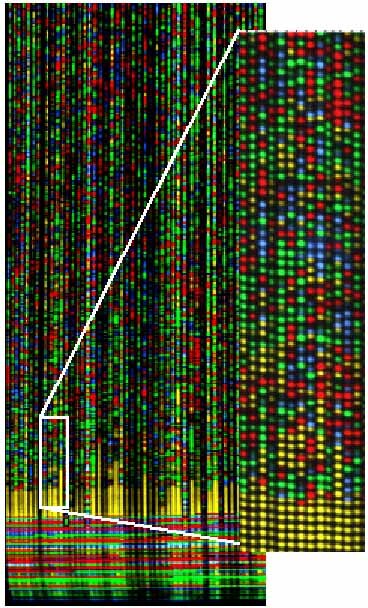 The Affymetrix GeneChip System has also been added to the DNA Core. The GeneChip Instrument System is a fully integrated platform for Affymetrix application-specific oligonucleotide arrays, the GeneChip probe arrays. 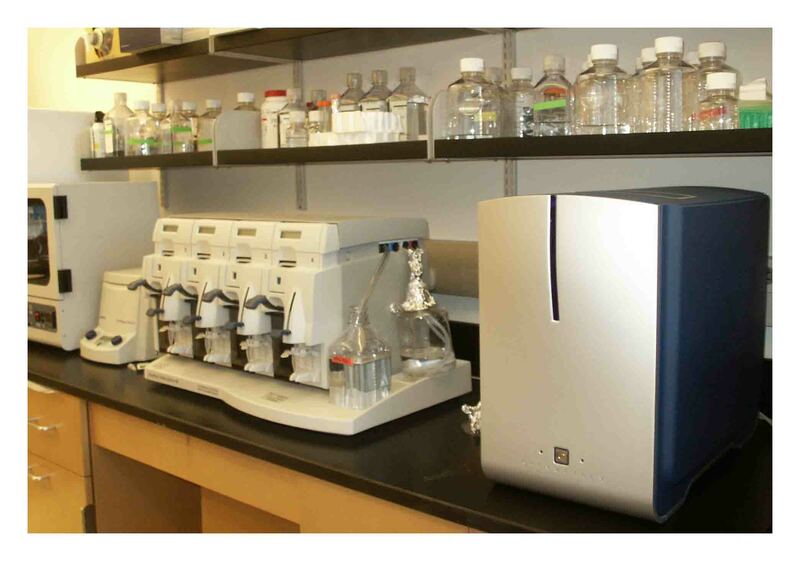 The integrated system includes the GeneArrayT scanner, the GeneChip Fluidics Station (model 400), the GeneChip Hybridization Oven 640, and a powerful computer workstation loaded with the Affymetrix Microarray Suite. The DNA Core is located in rooms 215-217 of the Christopher S. Bond Life Sciences Center. The Core is hosted by the Department of Molecular Microbiology and Immunology.